Celebrated every year on April 14, Ambedkar Jayanti marks the birth anniversary of the father of the Indian Constitution, Bhimrao Ambedkar popular as Dr B.R. Amedkar. 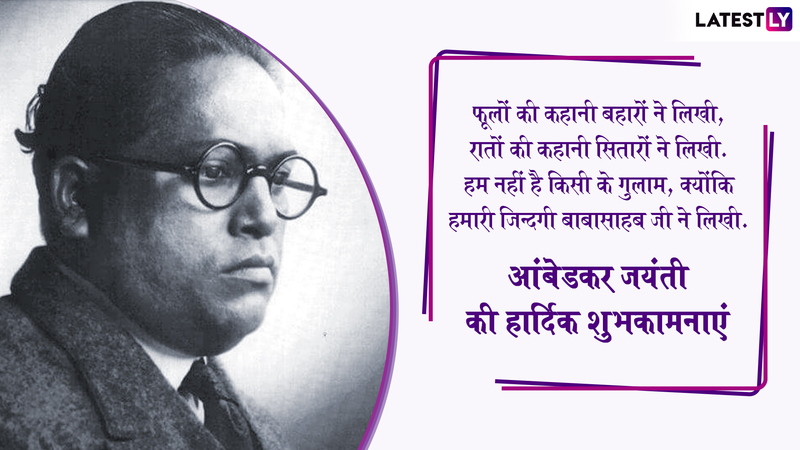 A social reformer, economist and jurist, who gave India its Constitution, Ambedkar Jayanti is observed with much enthusiasm by his followers across the nation. 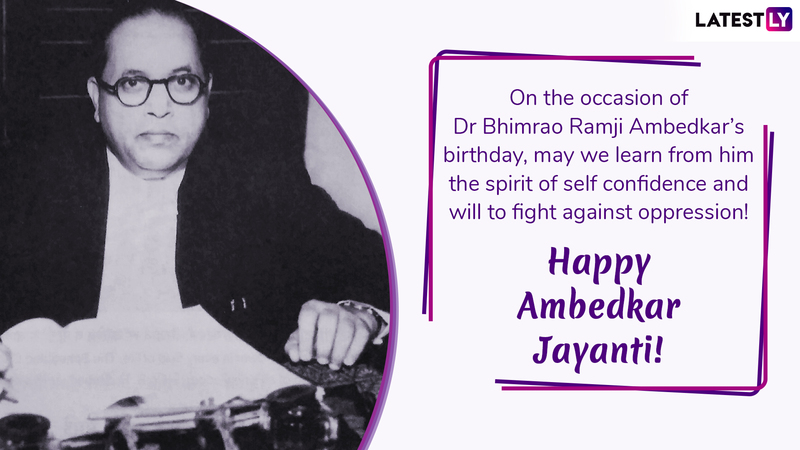 As part of the 2019 Ambedkar Jayanti celebration, also called Bhim Jayanti, individuals share significant wishes to the social media platforms. 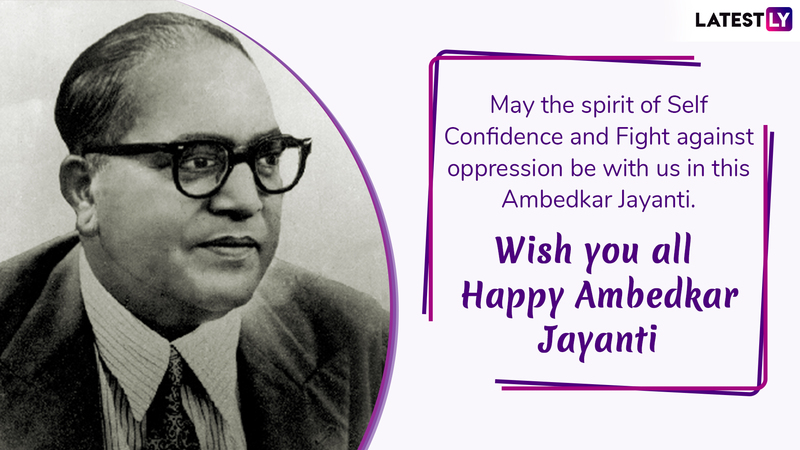 As April 14 approaches, the search trends for Ambedkar Jayanti 2019 greetings are high, with people looking for Bhim Jayanti messages and quotes to share on Facebook, Instagram and other social media sites. Hence, below we have compiled B.R. 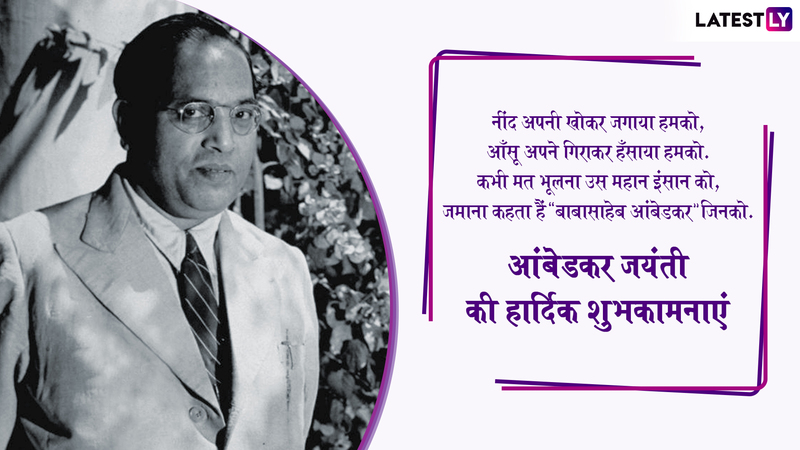 Ambedkar Jayanti 2019 wishes in Hindi and English along with images, link to download WhatsApp stickers and for you to share them with your friends and family on April 14 celebrating the birth anniversary of Bhimrao Ambedkar. From Women Empowerment to Education, Here Are the Social Changes the Jyotirao Phule Worked On. Dr B.R. Ambedkar was born on April 14, 1891. As per official records, Babasaheb Ambedkar's first birthday was publically celebrated on the same day in 1928 at Pune, by social activist and Ambedkarite Janardan Sadashiv Ranpise. It was him who began the tradition of B.R. Ambedkar birth anniversary, which is called as Ambedkar or Bhim Jayanti. Ever since then, Bhimrao Ambedkar's followers across the nation, every year on April 14 gathers in a large group to celebrate his birth anniversary. B.R. Ambedkar messages and greetings are also shared on this day, with people commemorating Bhimarao's significant contributions to society. Check out the best collections of Ambedkar Jayanti 2019 wishes in Hindi, English and WhatsApp sticker images to share with your near ones, remembering the social reformer. Date, Significance of Bhim Jayanti That Marks Dr Babasaheb Ambedkar's Birthday. WhatsApp Image Reads: It's day of celebrations. It's day to value a special person, who taught the world the lesson of Self Confidence. It’s B R Ambedkar Jayanti, the father of Indian Constitution. 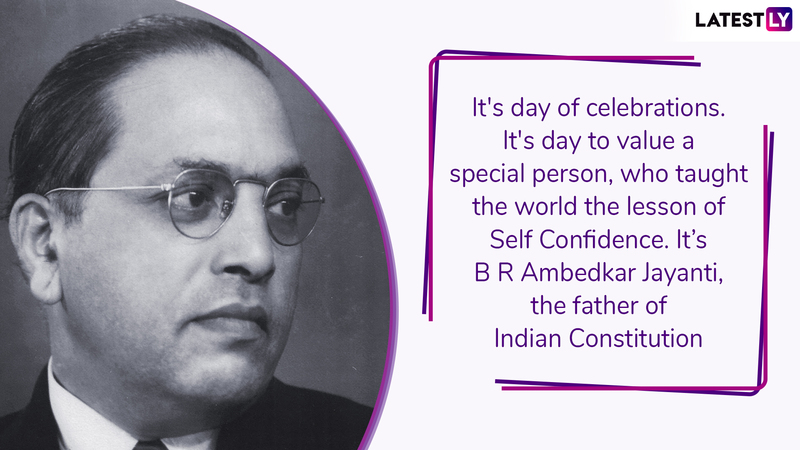 WhatsApp Image Reads: On the occasion of Dr Bhimrao Ramji Ambedkar’s birthday, may we learn from him the spirit of self confidence and will to fight against oppression! 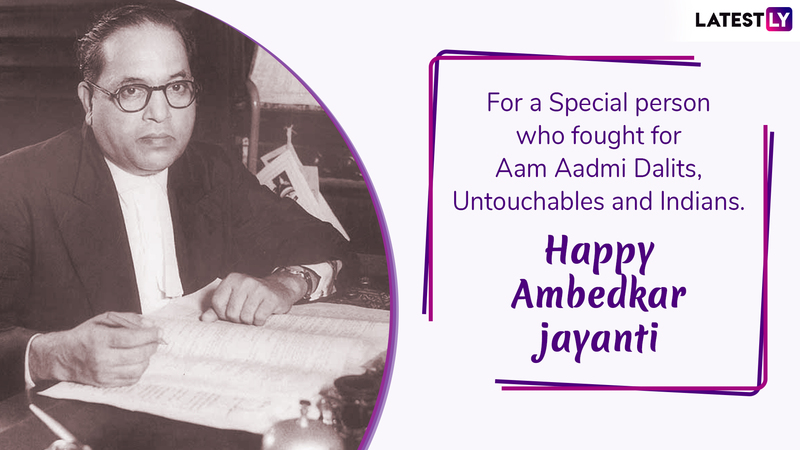 Happy Ambedkar Jayanti! Sharing greetings on any festivals have become easy with the advent of technology. The moment WhatsApp introduced stickers, people have only gone crazy, as they use them for free on all the occasion. Likewise, on the celebration of B.R. Ambedkar's birth anniversary, download these Ambedkar Jayanti and Bhim Jayanti WhatsApp stickers, by visiting Play Store and share them with your friends and family. During Bhim Jayanti, processions are carried out by Ambedkar's followers at Chaitya Bhoomi in Mumbai and Deeksha Bhoomi in Nagpur, which is considered to be the largest celebrations in the country. Besides, national figures such as the President, Prime Minister and leaders of major political parties in India, pay homage at the statue of B.R. Ambedkar situated at the Parliament of India, New Delhi. Besides, people in large numbers visit local statues of commemorating Bhimrao Ambedkar in procession with a lot of fanfare.